Name Help: Fourth Girl, Out of Names! We have three beautiful daughters, and recently found out that – surprise! – we’re expecting a fourth. It’s another girl. When it comes to names we have two problems: first, we don’t really have any names left that we like. Plus, we always seem to choose names that end up being the next big thing. Our 10 y.o. is Amelia Rose, followed by 7 y.o. Evelyn Grace, and 5 y.o. Stella Marie. 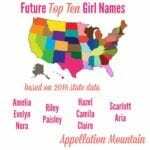 We still like all of the names, but it’s frustrating to hear every new baby at church or in our neighborhood called Amelia, Evelyn, or Stella. Our last name starts with a K, and is shared by the 35th President. No relation! But the JFK connection means that we can’t really use ends-in-y names, though I loved Lucy and Ruby before I met my husband. Also, names of famous family members are out – so no to Caroline. We aren’t big on nicknames. I think many parents struggle with this problem. When we start picking out names, we’re ahead of the curve. But then the world catches up, and our favorites suddenly feel so popular. Plus, the names we’ve already used tend to rule out others, like Amelia and Cecilia. 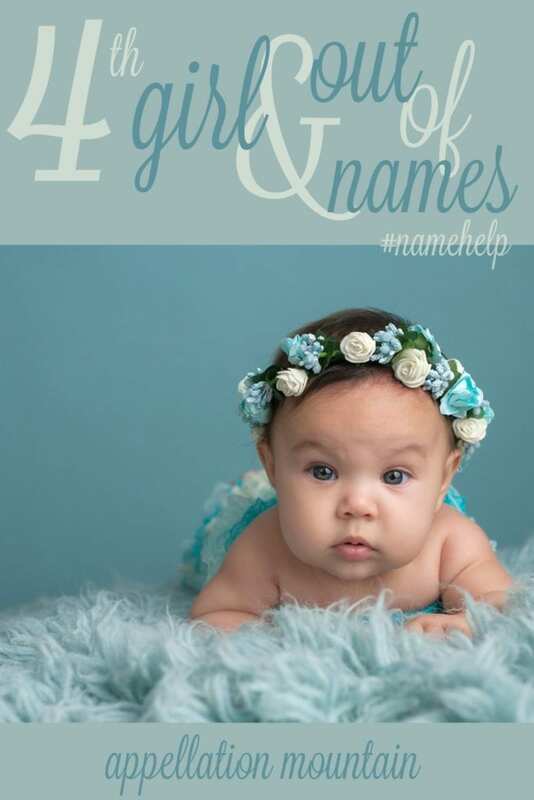 The most popular names rise so high because, well, they’re great names! But they don’t get there overnight. I’d guess that your 10 y.o. Amelia rarely shares her name with a girl her own age, and not often with older girls. But babies? Yeah. Betting there are a lot of baby Amelias out there. My sense has always been that people are happy to have rising names – names that gained in popularity after they were born. Who doesn’t want to be a trendsetter? You might be able to avoid your child having a very popular name by choosing something from much higher up the popularity charts – at least for a while. Wait a decade or so, and many choices that match your preferred style may catch on. I wonder if you’d like to focus on names that don’t end in a? 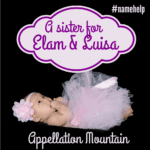 Amelia, Evelyn, Stella … it might be nice to choose a name – like Hazel or Violet – that has a different ending sound. Okay, let’s jump into some suggestions. Gemma – Gemma seems very similar to #1 favorite Emma, and yet the soft G sound makes it entirely different. The name has gone from completely unknown to the Top 300 over the last decade; and yet, I think it remains just under-the-radar enough. Georgia – Everybody recognizes the name Georgia, and nearly everyone likes it, too. Despite that fact, Georgia’s march to the top continues at a slow, steady pace. It’s just inside of the current Top 250. 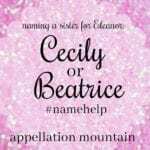 Like Beatrice, everyone knowns the name, but not everyone is choosing it. 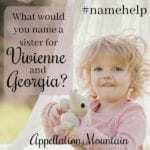 Josephine – If your daughters Amelia, not Mia, and Evelyn, not Evie, then maybe you can have a Josephine, not Josie or Fifi or Fina or Jo. I really like this name in full. It’s not far outside of the current Top 100, so Josephine might be the next Amelia. Lena – Spare, sleek, and portable, Lena hides in plain side. We all know famous women by the name (Dunham, Horne), and it reminds us of faded favorites like Gina and Tina. But Lena remains versatile, modern, and very wearable. It’s in the current Top 300, like Gemma, which seems a nice place for a familiar, but seldom heard, choice. Louisa – Literary Louisa recently returned to the US Top 1000 after several decades’ absence. That puts Louisa in the same barrel as Beatrice. Everyone knows it, but relatively few of us have named a child Louisa lately. For an even rarer name, you might consider Louise. Both remind me of Eloise from your list, but sidestep the repeating initials question and give you a less popular name. Mabel – If you like Hazel, maybe you’ll love Mabel. It’s another name long out of fashion, but recently returned. Mabel is still outside of the current Top 500, but sounds exactly like a sister for Amelia, Evelyn, and Stella. Matilda – Or maybe Matilda? Like Amelia, it’s a longer name that can easily be nicknamed – but requires none. It’s regal, like Charlotte, and vintage, like all of the names that you love. It also falls just beyond the current Top 500. Overall, I most like the idea of Beatrice or Louise – even though it isn’t technically on my list above. Josephine also calls to me, but I’m ambivalent about using a nickname-rich name like Josephine when you’re not wild about them. Because children do grow up and decide that they’d rather be Josie or Jo … would that bother you? Readers, I’d love to hear your suggestions of vintage names that feel undiscovered? Or at least are yet to take over the playgrounds! Name Help: Should Eleanor’s sister be Cecily or Beatrice? I love these Names. I agree with another users comments that your girls names are similar in that they all have an “L”. And I am just picky that way. Some that instantly came to mind: Amelia, Evelyn, Stella and..
Replying to my own comment., just reading the comments and Delilah Layne hit me like a ton of Bricks! But Viola Lane is gorgeous! I love the suggestions or Lenora and Juliet Pearl! I think the following would be great, well known names that don’t seem trendy or likely to blow up in popularity. Also, Eliza may be my fav suggestion- so great with your last name and with sibs. Gwendolyn or Genevieve seem like they go with your sib-set and last name. Great suggestions! Wanted to also suggest Cora. Elizabeth would go well too. I think that vintagey/old-fashioned names are fashionable at the moment so if you go with any of these suggestions theres a chance you’re choosing a name that will be popular. But if that’s what you like then go for it! My girls are Harriet and Susannah. Both seem to fit in the familiar /vintage/classic categories and yet they’re the only ones in their school. We worried about Susannah being shortened … didn’t particularly like any of the nicknames, except maybe Anna/Annie…but it has not been an issue at all. I’d go with Daphne Pearl or Juliet Pearl for the next baby. I like that all the girls have 6 letter names. Sigh. I love your girl names!! What are your thoughts on Juliet? We have one and absolutely love her name. If you are looking for something that is not as popular but is an old classic, what about Pearl?? I sooo love this name. Amelia, Evelyn, Stella, and Pearl. Sigh. To my ears this is perfect. Instead of Adelaide, what about Emmeline? Oh, if you like Violet, what about Viola? Ohhhh…… what about Vera? Vera Lennedy(with a K) sounds fabulous! As a sibling set, I prefer names that have “L”s in them as the other three girls are heavy on L-sounds. Really loving Pearl and Viola. Lydia!!! Seems perfect to me. From your list, I love Hazel. I agree that ends in y is fine, and I think Lucy sounds great. Or maybe Daisy? Or Lila? Or Grace? Beatrice is an excellent idea. Excellent. Otherwise, how do you feel about Geneva? Or Genevieve? Marian might meet your needs. Celine has the same certain elegance as your other girls’ names. It is similar to Cecilia but without being matchy-matchy. Rosalind could go well, too! She’s Shakespearean and classic while sitting nicely below the radar. Congratulations and best wishes as you welcome your fourth lady!! I personally don’t see a problem with “ends in Y” Kennedy. Especially if it’s two syllable. Many of the famous Kennedys had that sound (Bobby Kennedy, Jackie Kennedy). The first two names to come to mind were Lucia and Honora. Or maybe Iris, Ileana, or Helen (or Helena)? What about Nora(h), Frances, Jane, Vera, Vivian/Vivienne, Rose, Margaret, or Lydia? I love your daughters’ names! I like Abby’s suggestions of Louisa and Beatrice. I might also suggest Millicent, Sylvia, and Lydia. I love this sister set! I hear you on the getting in before popularity woes. My friend has a Theodore and Josephine, both named a few years ahead of them skyrocketing here in Canada, and she gets really frustrated hearing those names everywhere. She just had her third though, and threw her hands up and named her Madeleine, which is already popular here. If you can’t beat them, join in. I also mention Josephine and Madeleine because I think they’re lovely with your set! Madeleine might be similar to Evelyn, but not too much. Also, I want to encourage Francine, Lucille, Lydia, Matilda, and LOVE Jane suggested above. Amelia, Evelyn, Stella and Lucille is my favourite! And if someday she goes by (your loved) Lucy, I really don’t see a huge deal. Lucy Kennedy is not awkward at all, I think it’s when syllables match that it becomes a bit comedic. I love Louisa or even Louise if you want to balance the ends-in-a names! I do think Cecilia is too close to Amelia, but Cecily isn’t. Is it really a deal breaker to have an ends-in-y name? I think the repetition is sweet and memorable. Have you thought about other -ine or -een names. Besides Josephine, I like Irene! It would definitely be rare. Irene makes me think of Helen. Spare like Violet and Hazel but maybe not rising like them? Oh my gosh and Jane! Of course. Amelia, Evelyn, Stella and Jane. Love that. Jane is like the spunky punctuation point on your little women. I love all of Abby’s suggestions, especially Mabel, Beatrice (although I prefer the Beatrix spelling) and Josephine. The middle spot might be a good place for the names you like but that seem too popular. Good luck! You have lovely taste in names! You and I have very similar naming styles! In addition to the suggestions offered by Abby, what about Lavinia, Alice, Colette, Celeste, or Augusta?